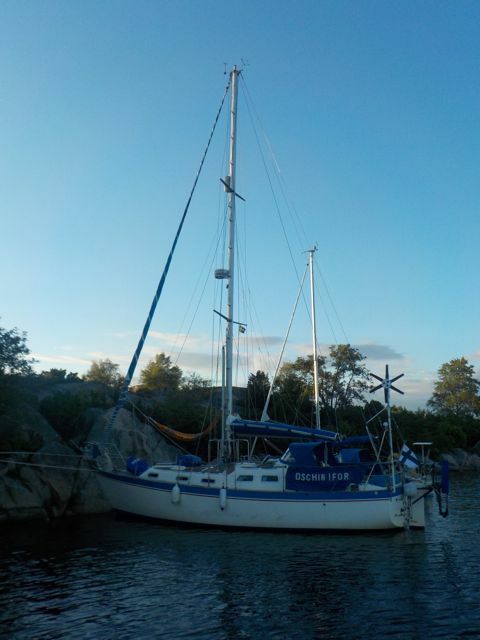 In sailing season 2014, we bought S/Y Stella Polaris from Lubeck, Germany, and sailed her to her new home port in Oulu, Finland. 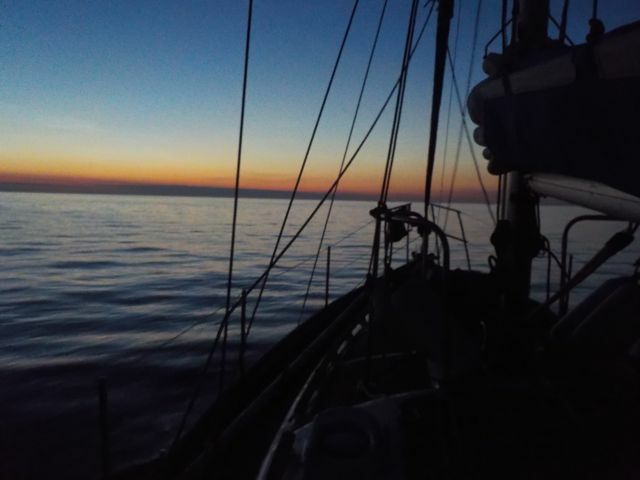 Find logbook updates of this voyage and shorter autumn weekend sailing trips in the Bay of Bothnia below. Notes: Autumn has truly arrived with colder air and darker nights. Directly after work on Friday, we headed to the sea. Plan A was to spend the weekend at the island of Kropsu. Turned out that it was a bad idea with the prevailing wind direction and waves. Therefore, we headed to island of Röyttä instead and celebrated the end of summer season festival (“venetsialaiset”) there. We enjoyed the our sailing club’s sauna, fireworks with Finlandia hymn on the background (awesome!) and admired the hundreds of stars you could see from the peak window when going to sleep. 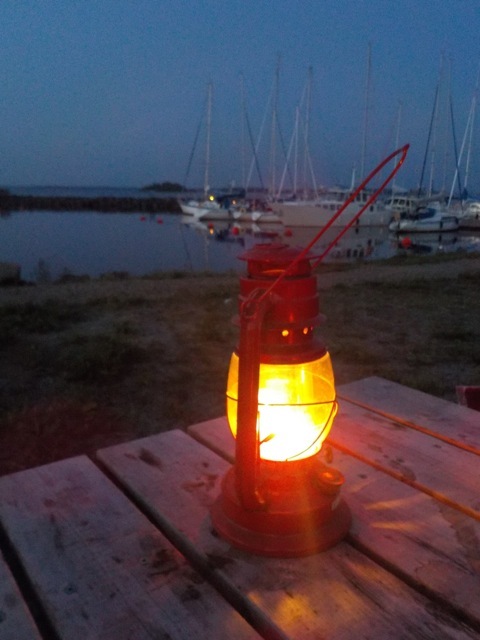 After a warm and sunny summer, it was cozy to turn on the heater and have candles to light the boat. Notes: We tacked half way to Kattilankalla and were quite pleased how the boat performed considering the angle of the wind. Finally, we gave up and fought our way to the island in an unpleased headwind and growing wave height. We hesitated for a moment to enter the Kattilankalla harbor which we haven’t visited before. The side waves made the entrance look very narrow and rocky. But I guess we are mad enough to try everything once and we did just fine. As a reward, we got the entire island (total of 0.2 km2!) all to ourselves for the first 24h – and we tremendously enjoyed the solitude. On Saturday, we had the most relaxing day wandering around the island, reading books the previous owner had left onboard (great books Heinz -thanks! ), Anton was fishing and learned to row the dinghy in record time of 5 minutes. On Sunday, we sailed back home in sunshine and light tailwind. We tried the other spinnaker we hadn’t tried out yet and it worked very nicely. 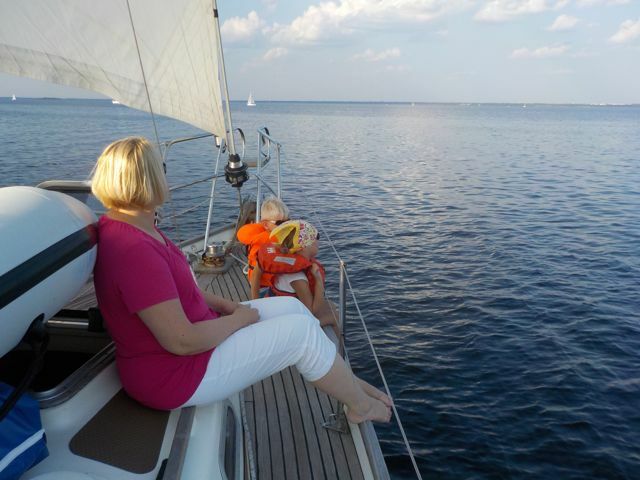 Weekends like this are the reason why people own sailboats/boats. Guest crew: Sanna, Jukka, Santeri, Heini and Heini I. Notes: Anchorage at the Nallikari beach for lunch, to view Tour de Sky airplane show and to drop off Heini I. Continued to Varjakka island and spend the rest of the evening exploring the island and grilling despite the rainy weather. After a heavy night of rain, we spend a lovely Sunday afternoon at the island fishing, rowing our dinghy, swimming and grilling. Also got front row seats to Tour de Sky! 8.8.2014 – V.I.P. champaign party! 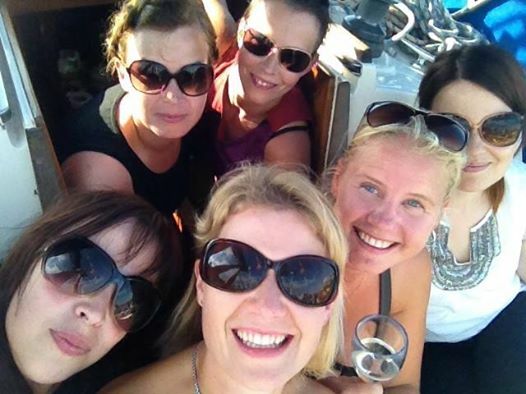 Guest crew: Jaana, Marika, Heini, Jossu & Hanne. Captain dismissed. Notes: A perfect evening sailing trip celebrating Ella’s birthday that we missed at the beginning of July. Also investigated tentatively how close to the Nallikari beach we can get with our boat. 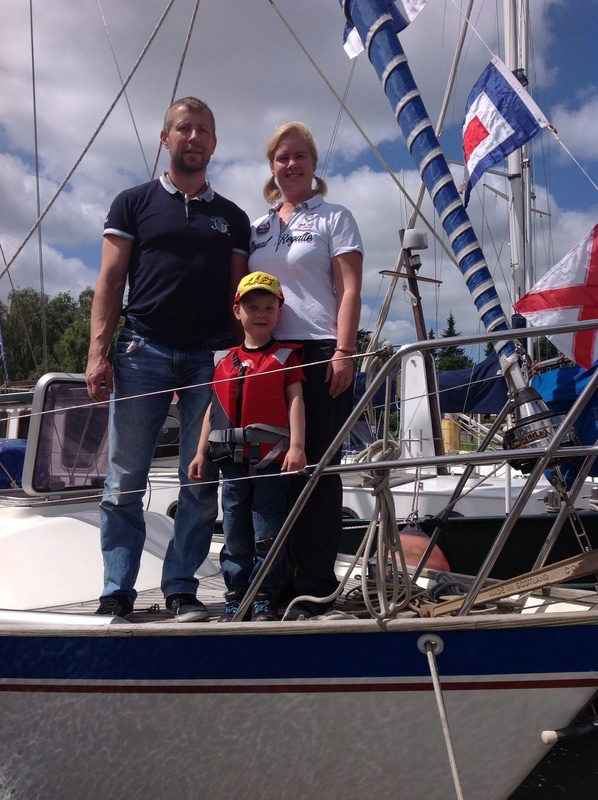 Total of 1016.6 nautical miles – the journey from Germany to Finland has ended and we are now home! 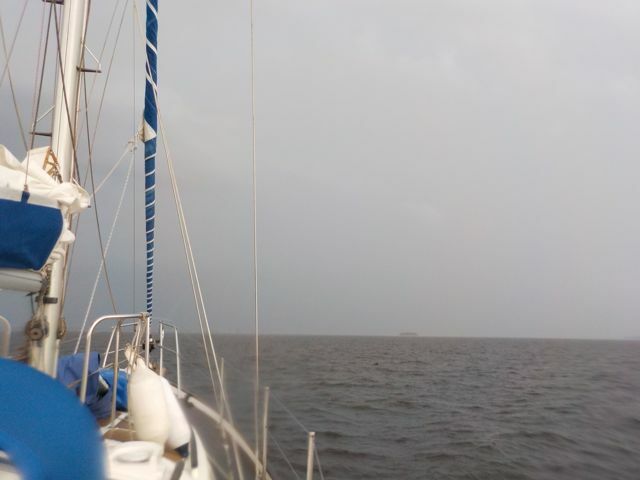 Notes: Escorted by thunder and lightening, we arrived to our home harbor at 15.30. Mother nature noticed in the last minute that we haven’t had rain and thunder yet and she gave us plenty of both during the last leg. After dinner, sauna and dry clothing – nice to be home! 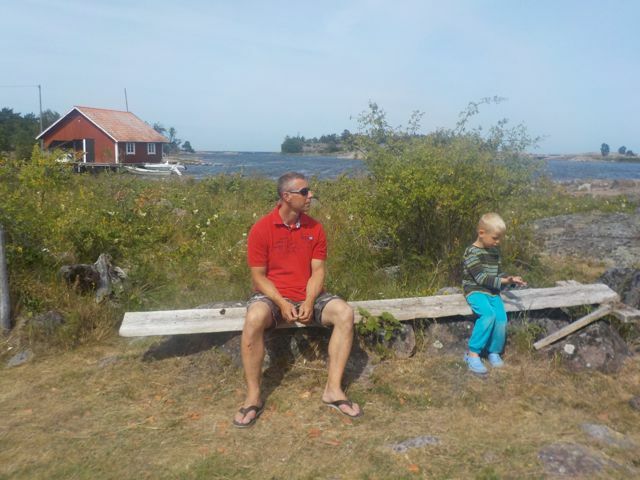 30.7.2014 – Almost home! ETA Oulu Thursday 31.7. Notes: The water level is so low that we don’t dare to take the shallow passage between mainland and Hailuoto. Arrived to an empty Marjaniemi harbor and enjoyed the sandy beaches. 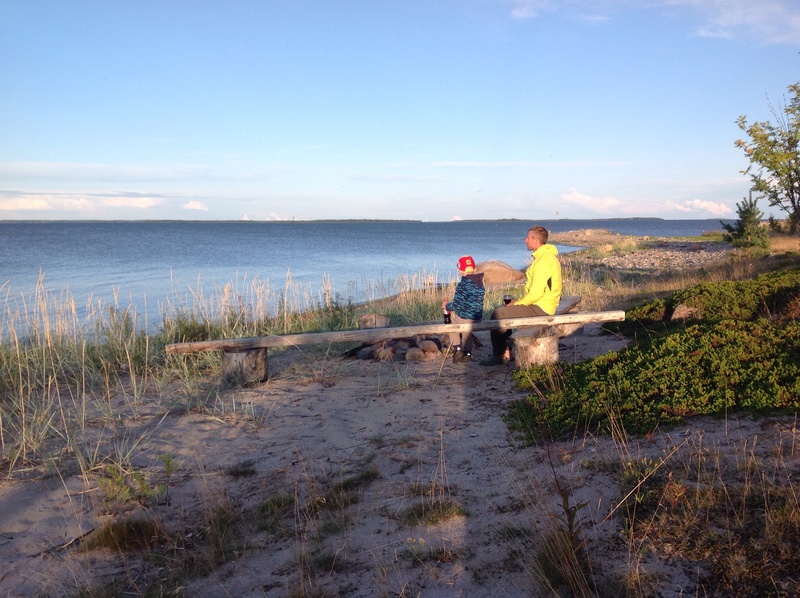 Notes: Unpleasent headwind but the pizza delivery by Sanna’s father to the Lapaluoto harbor made us keep going. Anton and Riitta have left the ship. Duo sailing the last two legs. The headwind changed to no wind at all. Notes: Changing wind and wave conditions. However we passed the island of Tankar and headed to Maakalla island at the open sea. And what a warm welcome we received from the local Saari family and the other few people on the island of Maakalla! We where amazed by the history of the island, the church and how the island is still governed autonomyously by “karikokous” that was held just the day before we arrived. Sauna was heated for us and we where invited to a barbeque place in the evening. After a good night sleep (fresh seawind and no mosquitos! ), we wondered around the small museums on the island and bought freshly smoked fish from the local fisherman for lunch before we left. A must-visit place where time has stopped and much effort has been taken to preserve the history. Notes: We where first heading to Mässkär but figured on the way that it might have louds of mosquitos. Therefore we decided to check an anchorage close by and it turned out to be a paradice! 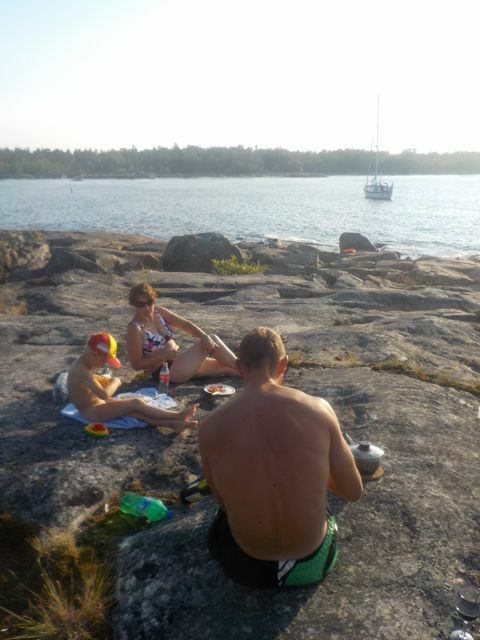 We swam for hours and had barbeque on the rocks in the evening sun. The night however was a bit unconfortable because the boat was rocking quite heavely due to waves. The bay is not sheltered in all winds but we definately will visit this bay again. Notes: The world heritage islands offered us home-made Salmon soup, walking trail and clean waters to swim in. It just was too hot to take a sauna! 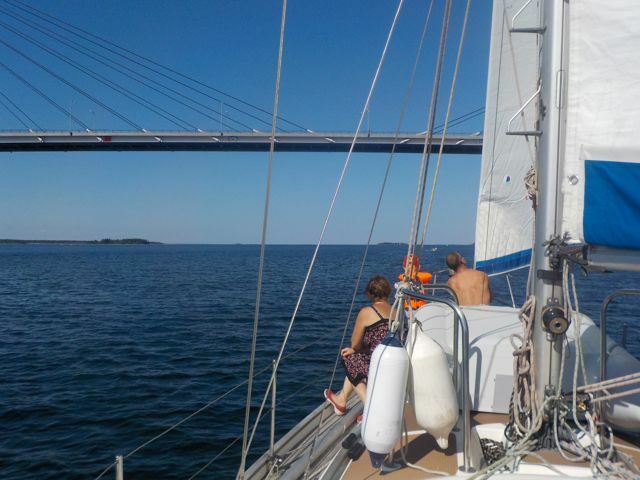 Notes: Slow sailing on a summer day under the bridge of Raippaluoto (see picture). Found a nice bay to anchore but where invited to shore by Wasa Segelförening who had a private harbor there -thank you for the hospitality! A Very nice bay with clean and deep waters but way too many mosquitos at night! 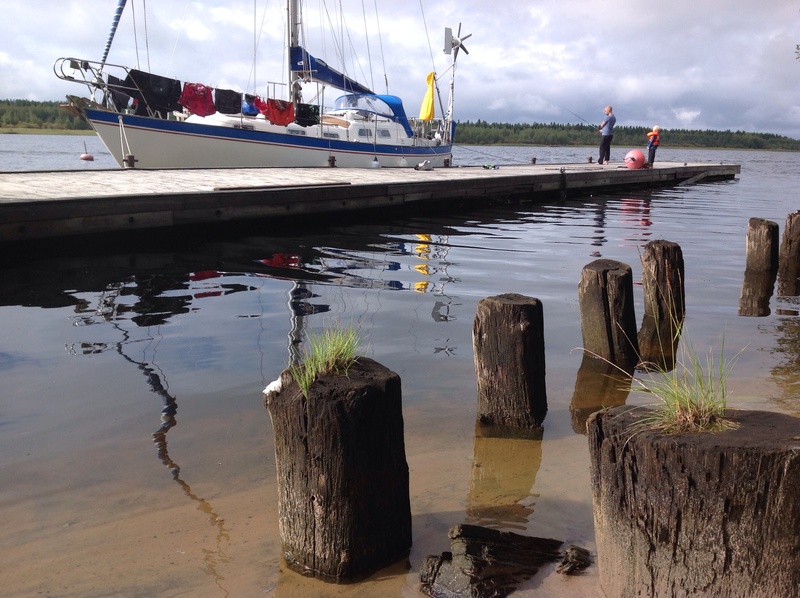 Notes: Motor sailed overnight to Vaasa. Sanna witnessed the sunset and raising of the evening flog and Saku the sunrise. 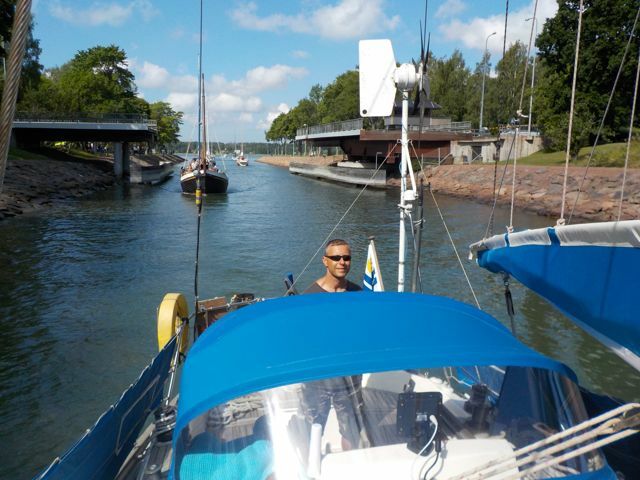 Had some unexpected waves in the early afternoon and found no suitable harbors south from Vaasa to stay and therefore ended up sailing to the city center. Other then that no happenings overnight. We saw nothing for 24h. Absolutely nothing but sea. Notes: No wind or headwind and very warm. Stopped at a harbor cafe on the way to buy fish and diesel. 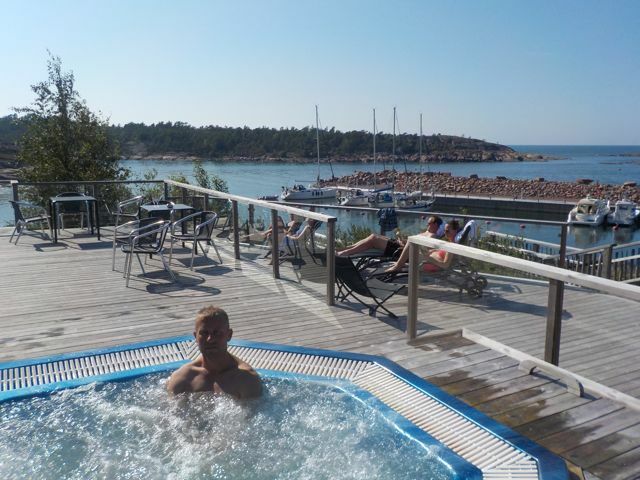 Havsvidden harbor with the outdoor jacuzzi, saunas and pool was amazing! Notes: Motored to Bomarsund via a drawbridge (see picture). 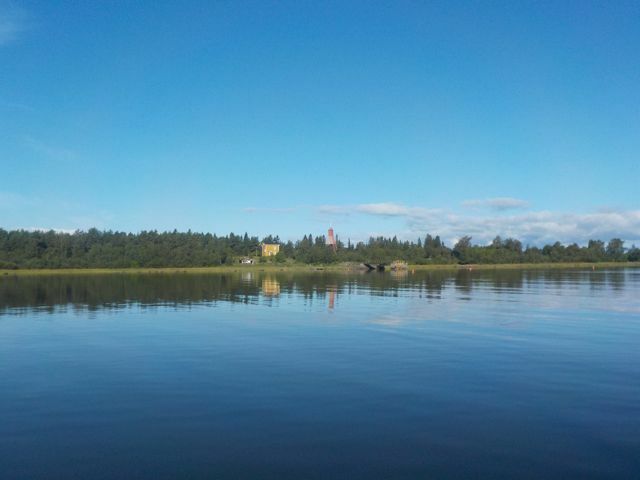 Investigated the Bomarsund castle ruins, picked blueberries, did laundry and had a nice barbeque in the evening sun. Perfect day. Notes: No wind. Motored to Marianhamn in summer heat. Relaxed in the hammock hanging on the front deck. We were passed by 5 cruise ships at the passage to Stockholm. 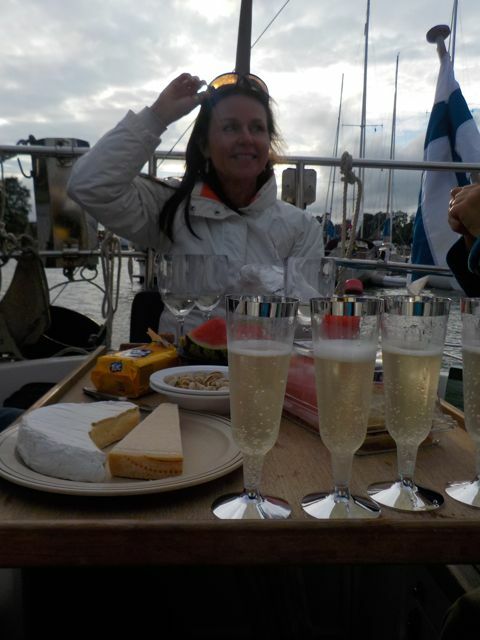 16.7.2014 – July rush-hour in Sandhamn – Harbor full! Notes: Plan A was to spend a nice day at Sandhamn, Sweden. At 1pm when we arrived there was a waiting list of 20 boats to get to the harbor. 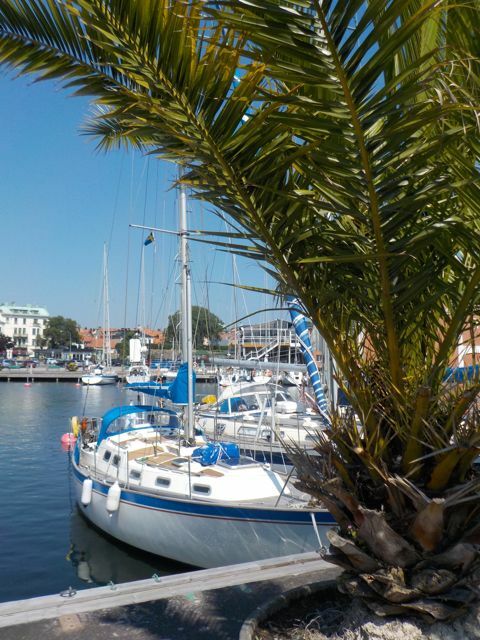 Plan B was to stay in the harbor next to Sandhamn. We checked the harbor via a very narrow nature passage and it was full. 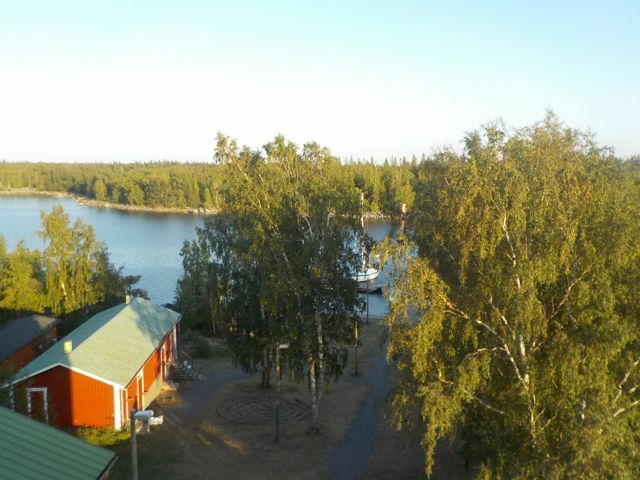 Finally, plan C was executed and we spent the evening ashore moored (see picture) at Rödlöga bay with 50+ boats. 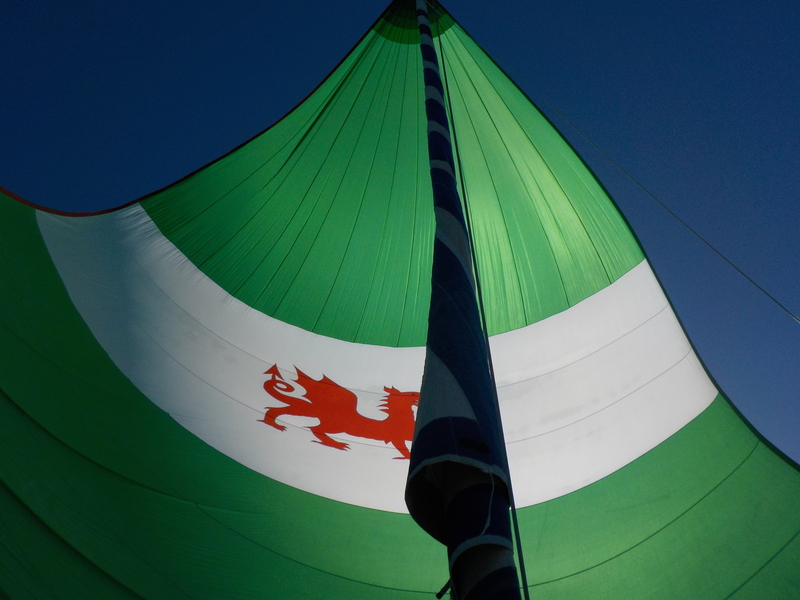 15.7.2014 – Breaking all speed records with the spinnaker! Notes: Left Häradskär at the dawn. 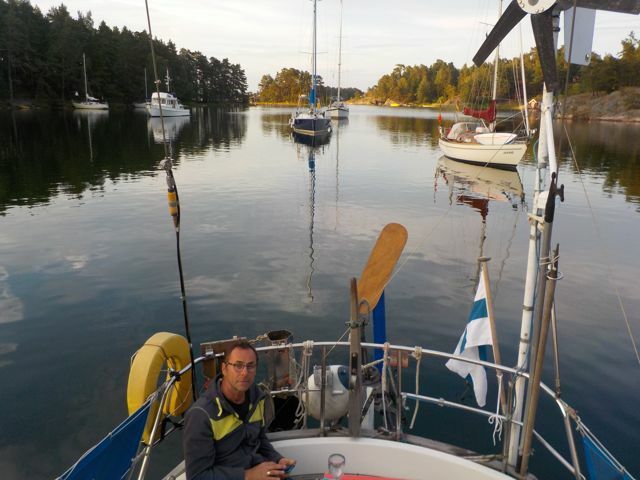 Saku sailed us single handed via the coastal passage to Oxelösund to meet Christian and Mervi just in time. We celebrated Mervi’s birthday. So nice to have guest crew and company on-board! Notes: Well, we did not make it to civilization today. 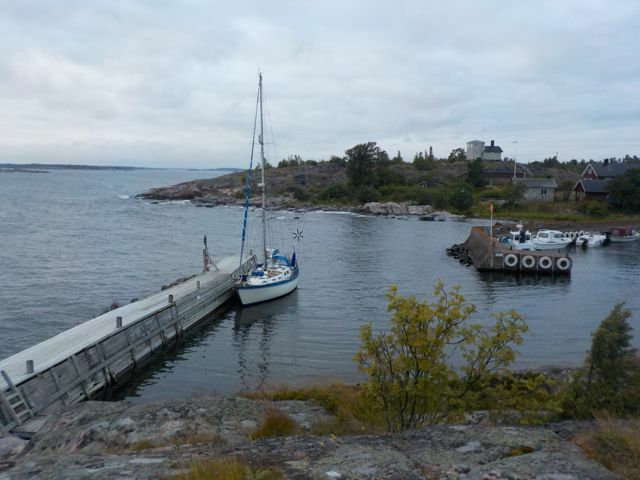 Higher then expected winds and increasing wave height made us stay at the Häradskär mini harbor for the night. The original plan was to continue directly to Nynäshamn overnight. We hardly could enter the Härardskär harbor because it was so tiny and shallow. We where the only boat there but a local (there was 6 houses on the island) told us that there normally is 8-10 boats there overnight. How is that possible?! Notes: Navigating a narrow passage from Figeholm to open sea required 110% focus. 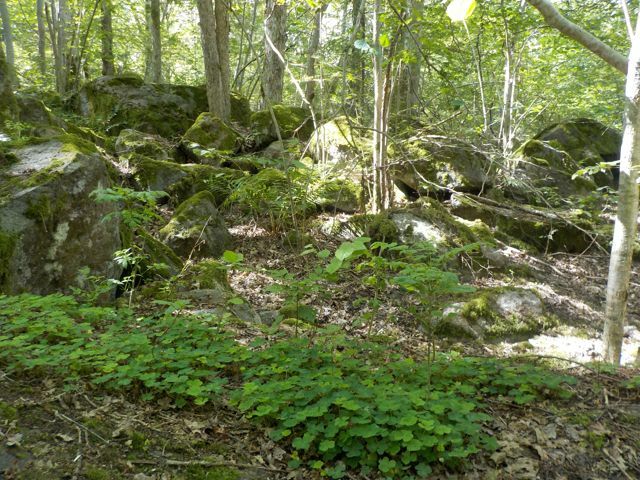 Rocks, islands and shallow water just meters away from the marked path -no room for error. Still heavy wind in open sea and lots of sailboats coming and going. 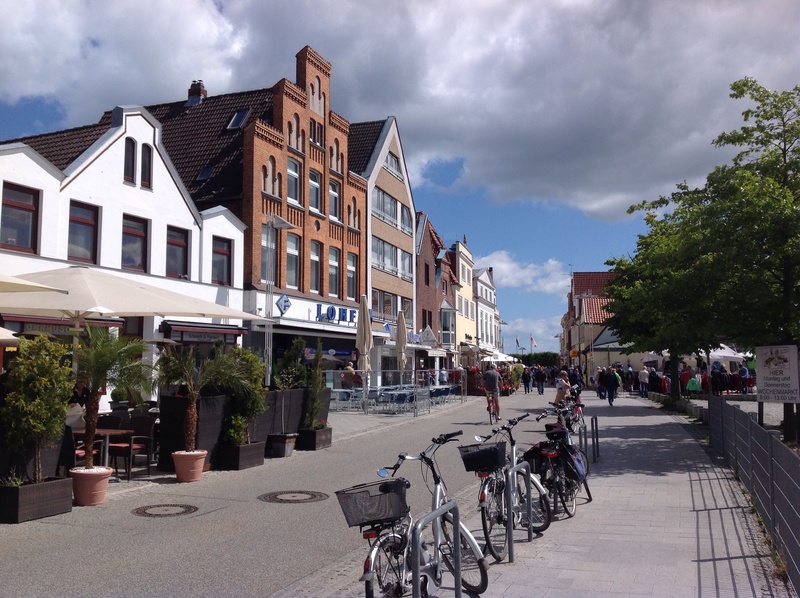 Arrived to Idö at lunch time and wondered around the beautiful island. This place is just like Astrid Lindgren’s Saltkråkan in Saariston lapset/Vi på Saltkråkan ! Notes: Sailing finally after so many days of motoring! Strong crosswind took us over the Kalmar Strait back to the mainland. After unsuccessful anchorage trial we motored a narrow passage to the harbor and witnessed a German sailboat run aground pretty badly. The next day we walked along the Ostkustleden and picked wild strawberries. 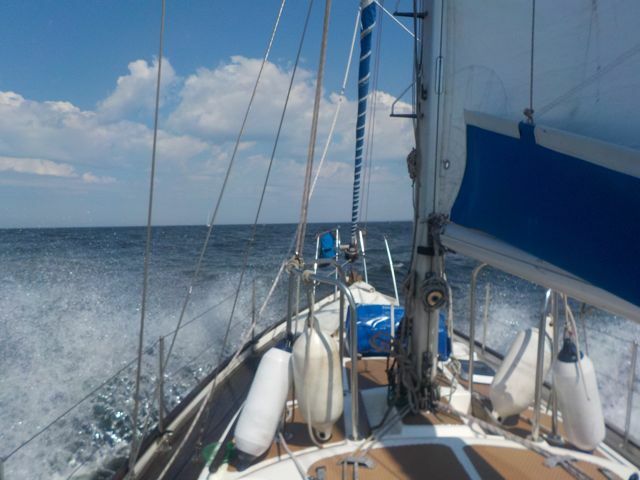 Notes: Fighting with the headwind (see picture) in the narrow Kalmar Strait. We decided to stop in Sandvik eventhought the plan A was to get further. Going under the Ölandbro was nice! Notes: Diesel wind again. Cleaning day on-board. See new blog post! Notes: Moving again with diesel wind. 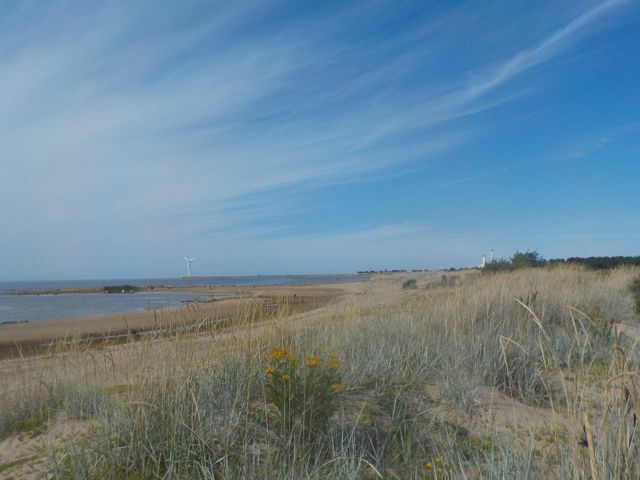 No more cargo ships but several sailboats and some wind generators to watch out for. Felt like traffic hour after the open sea legs. Notes: Tried all possible sail combinations to get more speed but ended up using the engine. Action bit in the middle of the sea: had to give way to a cargo ship and a fender dropped at the same time. We did a MOB exercise and picked it up. The engine refused to start after we tried the sails for the second time and it was hammer started. 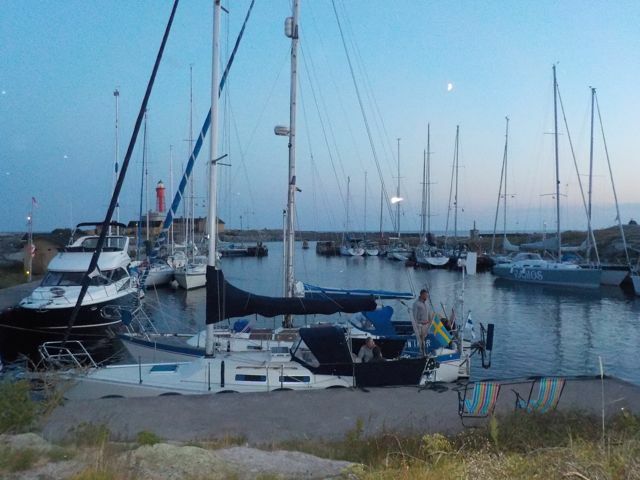 We made it to Utklippan late in the evening and spend the night in a tiny marina with 28 other boats (see picture). 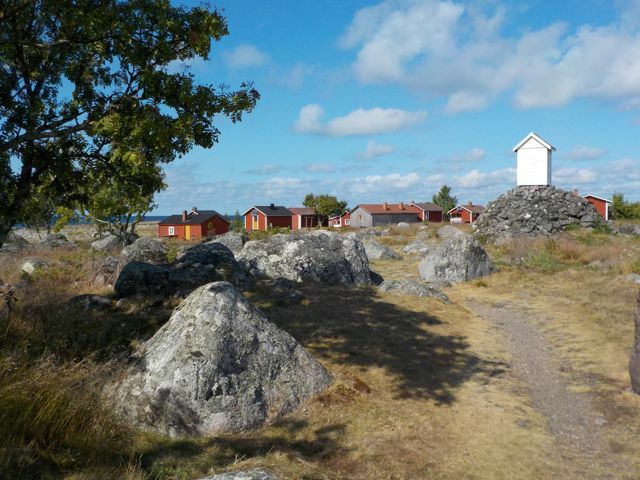 Utklippan was a lovely lighthouse island with no trees, only rocks. Met a second Finnish boat so far on this trip in the morning when we were leaving. Also see a blog post about Utklippan. Notes: A short leg with way too big waves! The waves threw us into the tiny Hammerhavnen harbor from a very narrow entrance. Notes: Tail- and sidewind of 13-18 knots with higher waves than we expected. Sailed half way with the spinnaker. 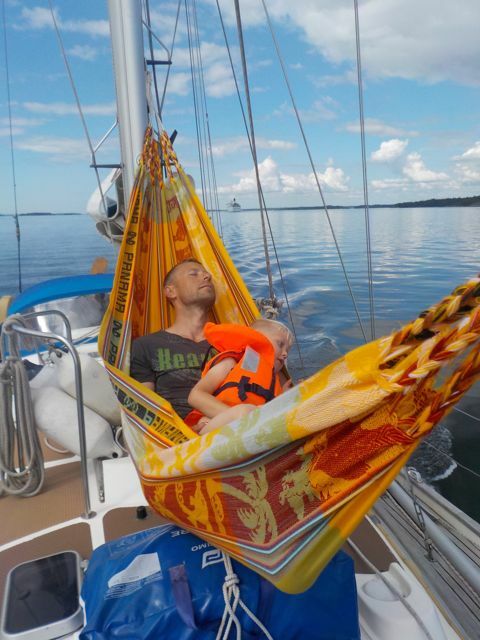 Sanna seasick, Saku hand steering, Anton watching movies (thanks Ella & Kalle). In full Rönne harbor side-parked as the 4th boat from the pier. 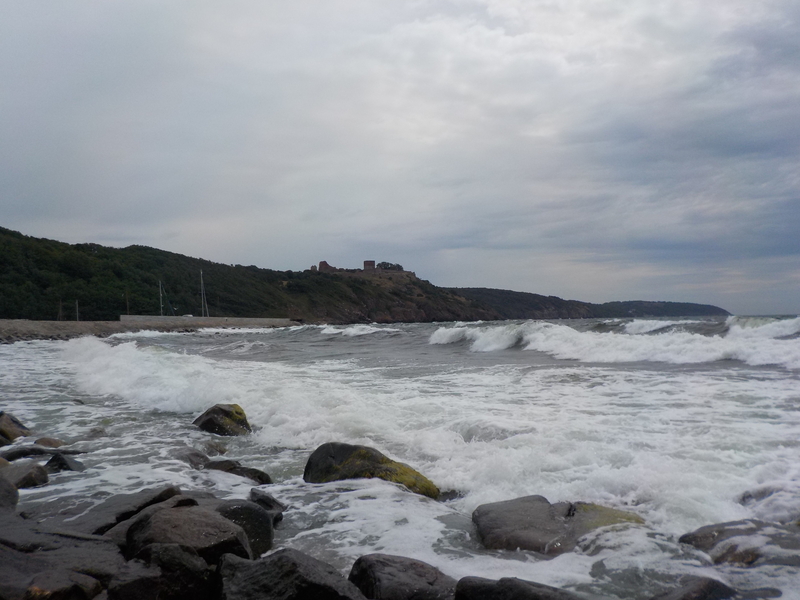 Also see a blog post about Bornholm. Notes: We left Gedser at 5am. Motored almost the whole way because of calm tailwind. After engine failure (fixed by Saku with a hammer – thanks Gerdie for the advice!) 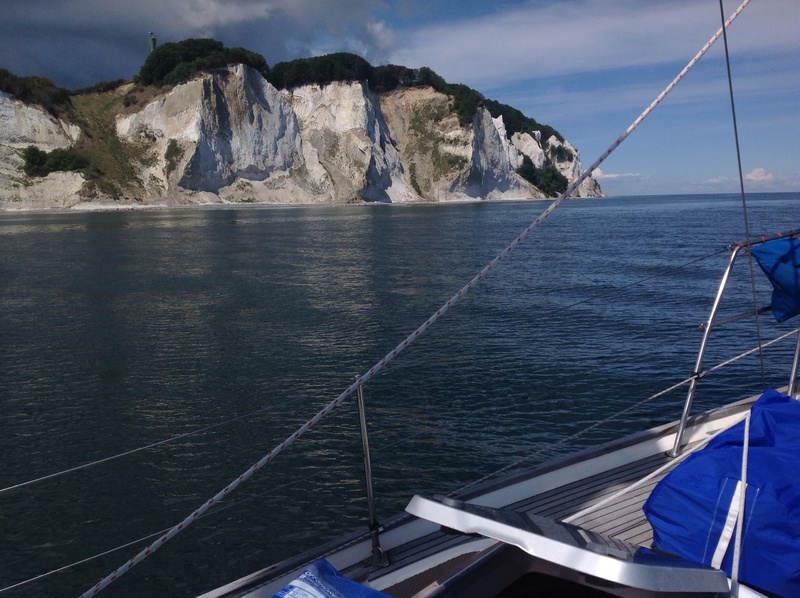 we sailed close to admire the spectacular cliffs of Mön. Sunbathing. 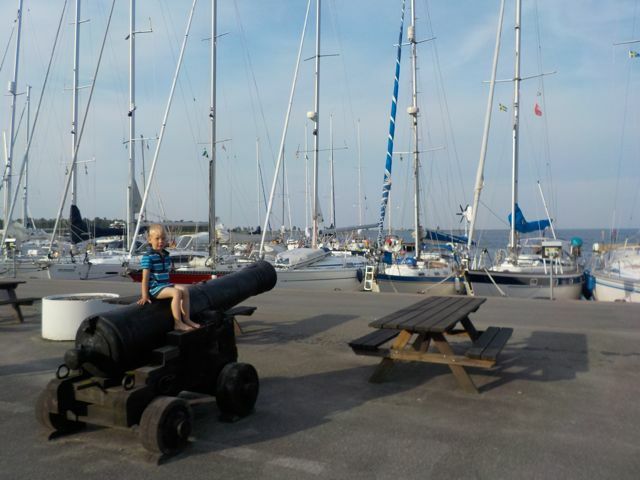 We were warmly welcomed to Sweden by family waiting at the Smygehamn harbor! Notes: Wind 17-28 knots. 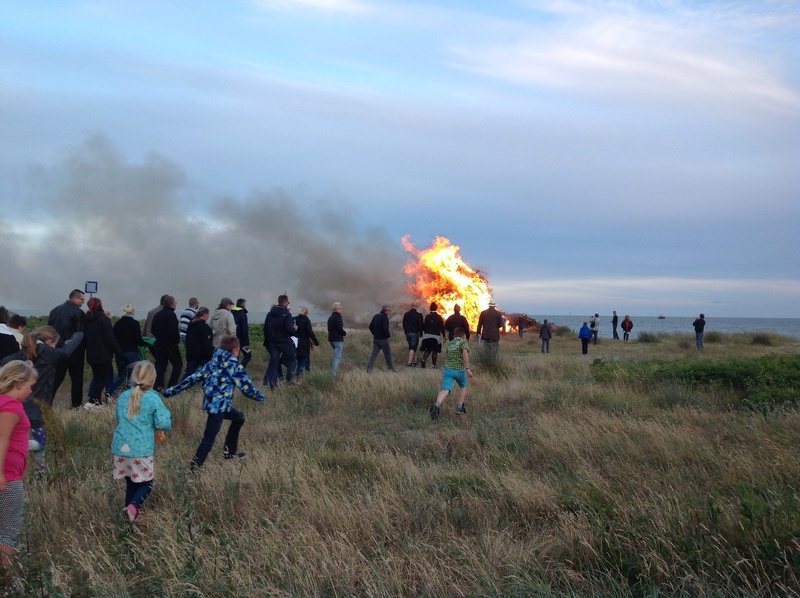 We were invited to joint the locals for the Midsummer bonfire at the fish harbour. Notes: We visited Travemunde in the morning. Crosswind of 18-23 knots changing to headwind of 28 knots that forced us to head to Burg harbor instead of anchoring at Grossenbrode, Germany. 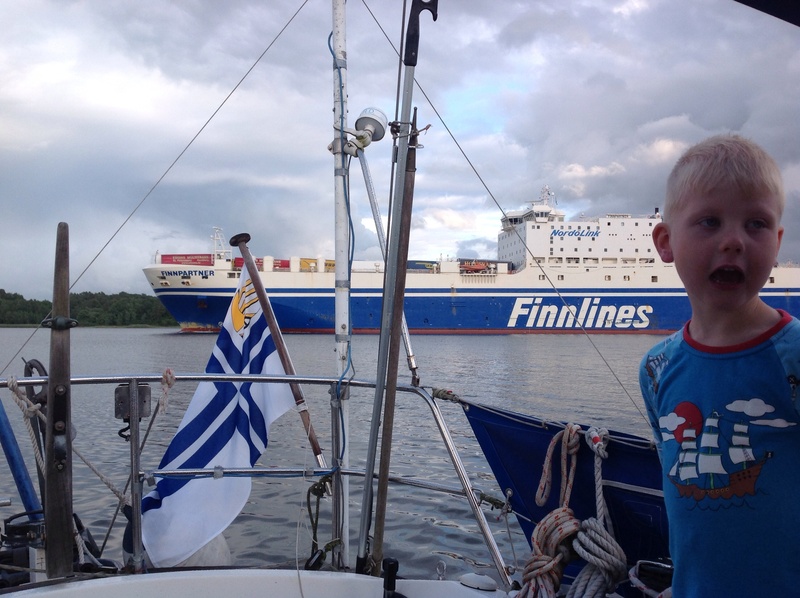 Notes: Sailing on the Trave River between large cargo ships. Anchored at the river for the night. Notes: Midsummer test sailing with Prof Fadle.